This post should really be called ‘Evenings in Tabanco El Pasaje‘ rather than confining it to the singular, since on my visit to Jerez last Autumn we found ourselves propping up the bar there on a few occasions. To be honest, I wasn’t sure what to expect from El Pasaje before we arrived in Jerez. 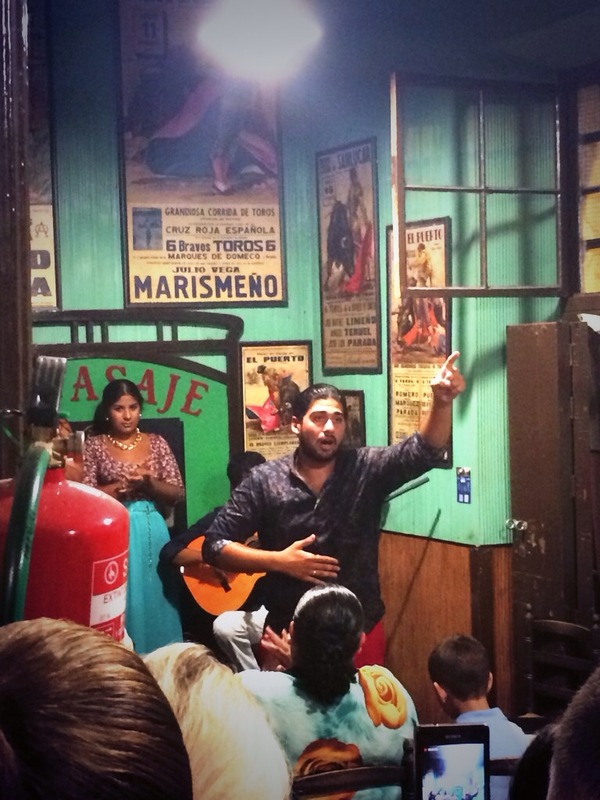 Had the mention in Time magazine and the patronage of a decidedly ‘sherrified’ looking Ashton Kutcher and Mila Kunis turned this traditional hotbed of flamenco into a tourist trap? Fortunately, fellow sherry blogger Helen (www.criadera.com) was one of our drinking accomplices for the evening, and she assured us that El Pasaje was a ‘must-stop’ on any tabanco trail. 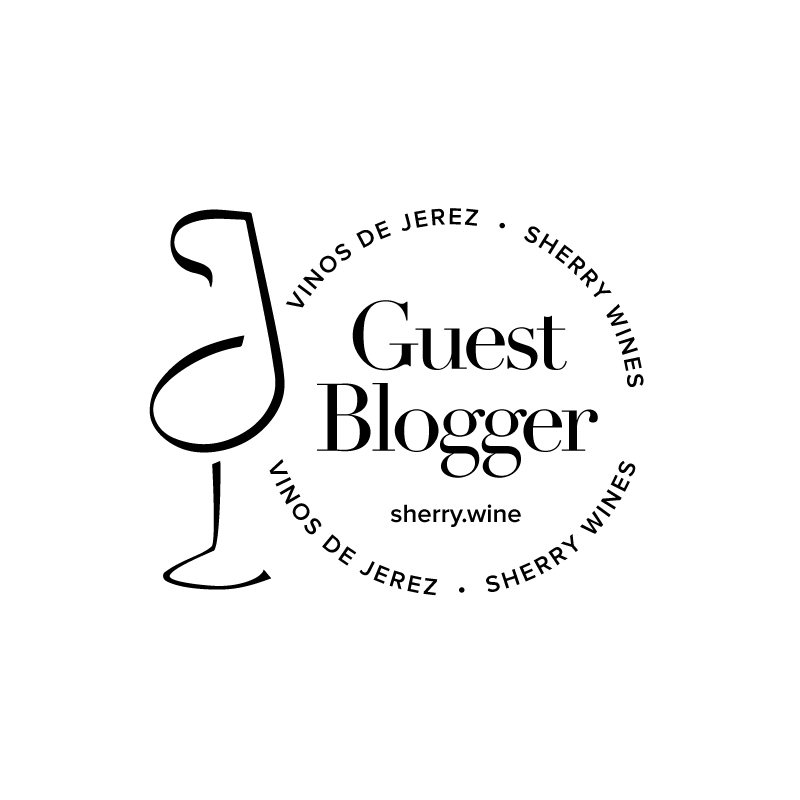 The sherry in El Pasaje is from El Maestro Sierra and, if ordered by the glass, is poured chilled from the fridge rather than directly from the barrels behind the bar. What you lose in theatre, you certainly make up for in welcome refreshment on warm Andalusian evenings. Drinking the 12 year old amontillado from mini-tumblers does admittedly lend itself to quaffing more rapidly than might otherwise be desirable though. That’s my excuse anyway! As with many traditional tabancos, your bill is marked down in chalk on the bar in front of you – the pic above reminds me that we were maintaining a very respectable chicharrónes to sherry ratio of 1:2. The majority of other tourists seem to stick to beer; they’re really here for the flamenco, and the sherry accoutrements merely serve as novel selfie backdrops for them. El Pasaje’s detractors bemoan its limited tapas menu and rustic veneer. It’s that “no frills” approach that forms part of its enduring charm though, and it strikes me that this is the very character that imitation tapas joints the world over are trying to capture. Go and see for yourself – it’s great fun! Sincerest thanks to proprietor Antonio for his most generous hospitality on our final night in Jerez. Amongst other delights, the barrels behind the bar got a workout as we were treated to bottles of our favourite sherries to take back to Ireland.